If you have been a regular reader of Kathryn's Loves, and The Kats Paws before that, you may know I hate waiting around for products to dry. When it's cold I like to step out of the bath and straight into my radiator-heated pyjamas. That's why the St. Tropez Gradual Tan One Minute Mousse is perfect for me. Yes, you read that correctly - ONE MINUTE. Hurrah St. Tropez! This is a super quick method to get some colour on your pale skin. Simply apply it to dry skin, wait one minute, and then shower it off. Craziness. But, most importantly it works. 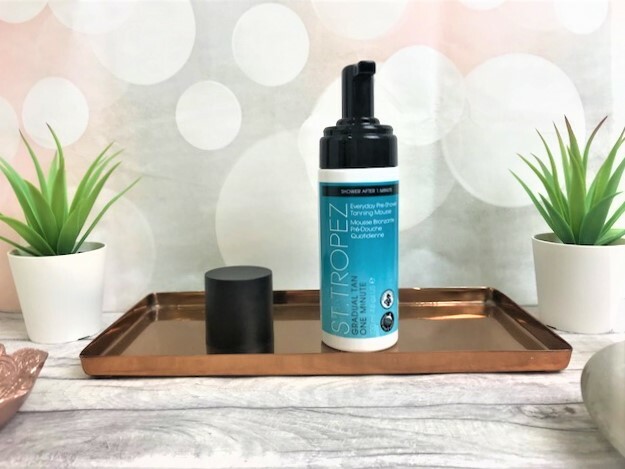 St. Tropez mousse is something I used to buy bottles of as it is so easy to apply (I would, as always recommend using a tanning mitt), and as it is a coloured mousse, you can see exactly where you are putting it and it sinks instantaneously into the skin. You can of course leave it on longer if you are wanting a deeper colour, or just reapply before your shower the next day. 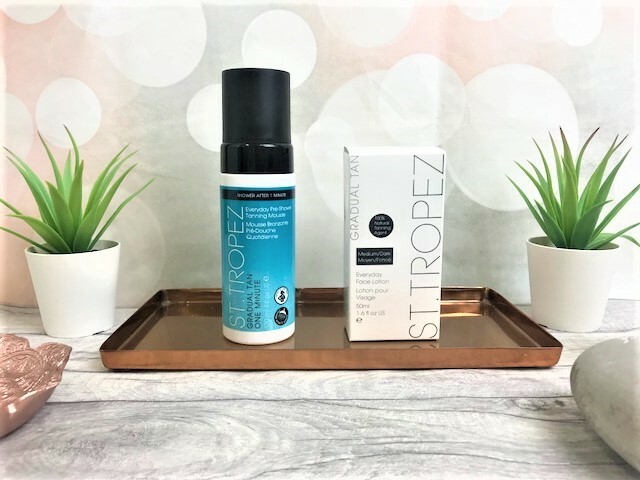 I don't like to apply regular false tan to my face as it tends to dry it out, and so to keep my face golden, I use the St. Tropez Gradual Tan Everyday Face Lotion. Normally I would opt for Light to Medium, but I accidentally picked up the Medium to Dark shade, so I mix it in with a bit of my regular moisturiser. However, this is also a moisturiser so normally you wouldn't have to do that, and it contains soothing aloe vera and the antioxidant Vitamin E to keep your skin supple and well-moisturised without drying it out. The Everyday Face Lotion has a light texture to it and I find it absorbs into my skin instantaneously. The Lotion also contains an innovative Aromaguard fragrance technology so that you don't get that 'fake tan' smell, which is definitely a huge advantage. To apply, you simply blend it into clean, dry skin in circular motions and wait a short while until it is touch-dry. You are then left with a subtle, yet beautiful glow to the skin, without the dryness. 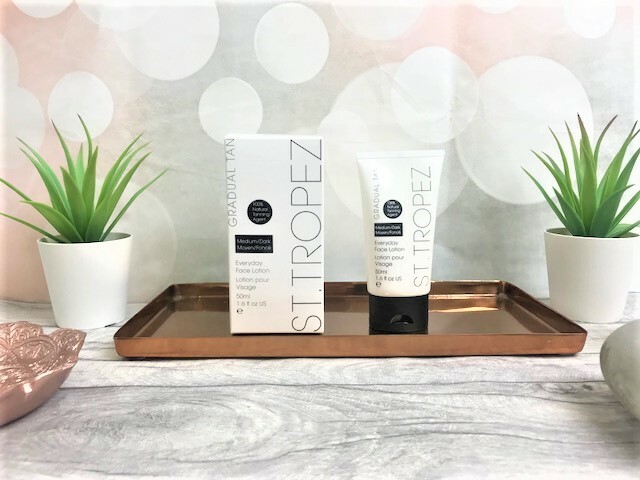 The St. Tropez Gradual Tan One Minute Mousse costs £14.50 for 120ml at Boots and the St.Tropez Gradual Tan Everyday Face Lotion costs £14.50 for 50ml at Boots.